South Moravia is known as the very heart of Europe since it lies on the boundaries of the Bohemian Massif and the Western Carpathians. The geographical and climate conditions of the region make it ideal for vine cultivation; the most intensive grape ripening takes place during the period of lowest rainfall, in August and September. The combination of the continental climate with its four distinct seasons and the warm air flowing up the various tributary streams of the Danube from south is one of the secret ingredients of the worldwide fame of the Moravian wines. However, grape growing and winemaking spread throughout Europe with the expansion of the Roman Empire, the history of the viticulture of South Moravia goes back to the Celtic times. With the passing of the centuries, wine was considered an important part of daily diet and a preferred alternative to accompany meals, among other reasons because drinking water was still unreliable. During the Dark Ages, the merchant and noble classes had wine with every meal and maintained well-stocked cellars. At the end of the 19th century, the appreciated Benedictine monk, teacher and historian, Gregor Wolný classified the wines produced in Moravia on request of Maria Theresa hence contributing to the spread of quality wine products all over Europe. The west part of the Moravian region, between Znojmo and Brno, lies on the edge of the Bohemian Massif and is excellent for the cultivation of Ryzlink Rýnský (Riesling) and Veltlínské Zelené (Grüner Veltliner). The central part, the Mikulov wine sub-region is stretching south from the town of Brno and is characterised by the limestone elevation of the Pálava hills which provides the most suitable soil for cultivating Ryzlink Vlašský (Welschriesling). Moreover, varieties such as Chardonnay, Sauvignon, Rulandskému Bílé (Pinot Blanc) as well as Rulandské šedé (Pinot gris) are prevailing in this sub-region. The Velké Pavlovice wine sub-region lies in the central part of the Moravian region and has become famous for its high-quality red wine called Frankovka (Blaufränkisch). The most easterly part, the Slovácko wine sub-region has very heterogeneous natural growing conditions therefore a wide spectrum of grape varieties thrill here from Ryzlink Rýnský (Riesling) through Rulandské Modré (Pinot Noir) to a newly crossed local variety, the Cabernet Moravia. South Moravia, with more than 17 000 hectares of vineyards registered, provides 96% of the total area of Czech Republic’s vineyards. Approximately 20 220 wine growers in the region offer their wine to taste accompanied by a pleasant meal composed of local specialities and a nice talk revealing the secrets of wine making – we recommend to visit one of these cellars directly. Wine tourists are warmly welcome all over the year, however many villages celebrate the grape harvest from September till November. Visiting a wine festival is a good opportunity not only to taste and shop high quality Moravian wines but to get lost in time by watching the locals performing dances in folk costumes. The history of viticulture and wine making in this wine region roots back to the 4th century B.C. Signs of Celtic and Roman technology can be both found in Pécs. The presence of the Romans and their wine making activity is proved by jars and cups that were found in hatches of early Christian cemeteries and by further archaeological items with grape motives discovered in the region. Under the Turkish Era the region went through a peaceful development despite the fact the Mohammedans were not allowed to enjoy the taste and positive physiological effects of wine. After getting the rank of free royal city the improvement got new dynamism. In the mid 19th century a technological revolution took place in viticulture and wines of Baranya county started becoming more famous. The golden age was ended by the great filoxera endemic that destroyed 80% of the plantations. Recovery was slow and painful; every plantation had to be replaced by filoxera resistant, new world engraftments. The situation got better in the 20th century but developments were halted by secularization after WW2. The end of the communist regime stopped the decline of viniculture, however, major part of bearing surfaces were built in. Fortunately developments are still going on, new cellars are in construction and previous small ones are getting stronger. Quality is a keyword, instead of mass production we emphasise the value of hand-made products. 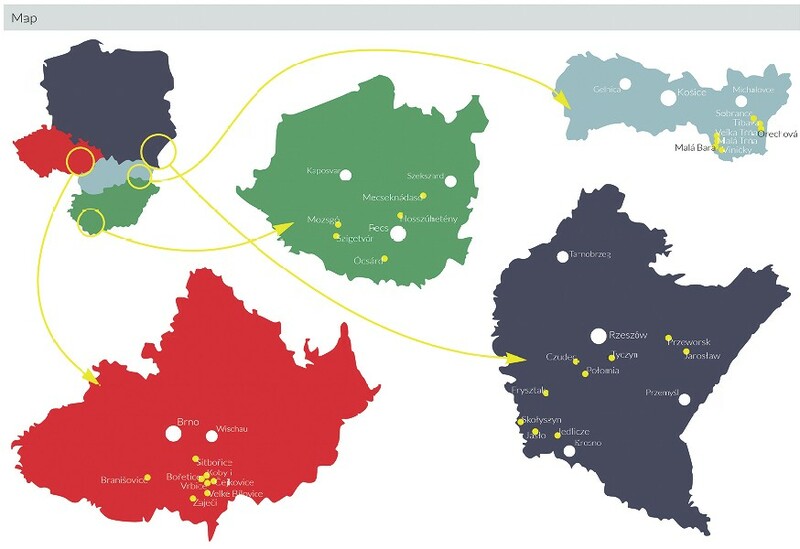 Our 7 000-hectare wine region, 740 of which is planted, has a Mediterranean climate with abundant sunshine during hot and dry summers that are followed by relatively mild winters (mean average temperature: 10,5-10,8 °C, average duration of sunshine: 2060-2080 hours, average amount of precipitation: 620-700 mm). The Mecsek Hills protect vineyards and allow viticulture at a higher altitude. Winemakers produce quality red wine even though soil and climate show favour toward white types. White wine production has increased significantly over the past years. Pécs wine region extends over the southern slopes of Mecsek Hills. Outstanding natural geographical features ensure unique bearing surface. Hilly soil features also help grapes: brown forest soil, loess, Permian red sandstone, pannonian clay, ragstone …etc. Plantations of the region can be found at the height of 110-130 metres above sea level but most of them are located on 180-270 metres. Cirfandli, a local uniqueness, is the flagship wine of the Pécs-Mecsek Wineroad. It is a common and traditional type of the area that extends from Szigetvár-Turbék to Mecseknádasd. Of course famous classic types like Sauvignon blanc, Pinot noir, Cabernet franc, Merlot or Chardonnay are also present on the slopes of Mecsek. It is our utmost pleasure to invite you to explore the winemaking paths of Podkarpacie (or Subcarpathia). The contemporary winemaking industry in Poland is still taking shape, but it is the region of Podkarpacie that has something to boast of already. It is the largest and the most dynamically developing winery region across the country. And it is only a beginning of establishing new Polish winemaking traditions. Podkarpacie is definitely at the forefront, consolidating its position of a pioneer and a leader, both in terms of the number of wineries, as well as the quantity and quality of the produced wine. The Subcarpathian wine is not only a regional differentiator, recognised also outside Poland’s borders, which fits well with the strategy of the development and promotion of the region. It has already gained a high profile, highly valued and recognized by wine connoisseurs; it collects trophies and medals at international wine competitions. The vineyards become a magnet for tourists seeking a remarkable offer, open to innovation and regional novelties. The Subcarpathian wine brand is cared about by wine enthusiasts: people who not only put a lot of their money in the development of wine, but also their heart. And they do so with the conviction that it is worth it. The Subcarpathian wine is like Podkarpacie – one of a kind, mysterious, tempting with its diversity both natural and cultural, still being rediscovered by the masses of tourists who seek a unique adventure, and highly appreciated by those who already know it. It was in PodkarpacIe that the rebirth of Polish contemporary wine began, and this is where it is developing the fastest. This pioneer status is not going to be taken away from Podkarpacie, regardless of how other vineyards will grow rapidly in the future in other wine regions in Poland. Firstly, it is the Subcarpathian Roman Myśliwiec who in 1984 founded the first Polish professional vineyard. Secondly, it was the local government of Podkarpacie, to recognize the huge potential in the development of wine as first across the country, and has been supporting this idea for a few years now, seeing it as an opportunity to promote and boost the development of the region. In no other region of Poland could the vintners count on a leg-up like that. 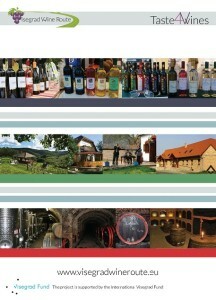 Thirdly, Podkarpacie has already become a centre of wine education in Poland, and this position will continue to grow. Here, a large role played a very important, open formula for all actions taken by the Association of the Subcarpathian Winemakers. In just 10 years, nearly 150 wineries have been established and new ones are still forming. The estimated total occupied area of them amounts to about 100 hectares. The average wine farm in Podkarpacie takes up about 20–30 ares, this type being most prevalent, although one can easily find large plantings, too: 2-3 hectares wide, with a tendency to expand cultivation. The resistant varieties predominate, ones proved in the local climate, which can make good wine: Seyval Blanc, Hibernal, Bianca, Jutrzenka, Johanniter for the white wine, as well as Rondo, Regent, Marechal Foch and Leon Millot for red. The Tokaj is geographically closed area of viticulture and viniculture in the Bodrog River catchment. It is bounded by the Zemplín Hills and the Rozhľadňa Hill (469 m) and in the south (in Hungary) it is bounded by confluence of the Tisa and Bodrog Rivers. The area overlaps from Hungary. It is the smallest viticulture area not only in Slovakia but all over the World too. At the same time it is one of five areas in the world, where they can produce natural sweet wines. The Tokaj viticulture strips can be used only as vineyards and there can be only certified cultivars of vines: Lipovina, Furmint, Muškát žltý and Zeta. The region has a volcanic soil composition that are represented by andesites, rhyolites and their tuffs underlying heavy clay and clay-loam soils rich in mineral elements. The rocks that are found in the soil of the Zemplín hillocks are mostly acidic. Vineyards are mostly situated in the middle or upper parts of slopes in rocky and tuff soils. The soils provide favourable thermal conditions for the Tokay grapes during day and night climatic fluctuations. Rocks absorb heat during days from sunlight and release heat at night. They balance the thermal differences between different parts of days. This speeds up the ripening of grapes and creates favourable conditions for creating bouquet and flavours in the Tokaj wine. Weather is very important. Long, sunny autumn, which enables to matured grapes to be affected by fine mould Borytris cinerea, which dries and changes grapes into cibébas – dry grapes affected by Borytris cinerea (raisins are just dry grapes). The Tokaj wine cannot be produced without cibébas. The beginning of vine-growing in fields is known from the Roman period, when the region was a part of Pannonia. After the fall of the Roman Empire Slavs continued vine cultivation. Great merit in the development of viticulture in the area is attributed to Italian settlers from the 13th and 14th century that brought new cultivation experience but also basic Tokaj variety – Furmint. From the period of Turkish wars in the 16th – 17th century are most of Tokay cellars that have been built as shelters for people and property from robbery armies. Gradually improving production, technology and Tokaj wines continue until 1560, when the Latin-Hungarian dictionary by Fabricius Balázs first time uses the cibeba term. Memorable part of the Tokaj wine history is joined with names of famous people that drank the wine. Among admirers of Tokaj wine belonged Russian tsars, Anatole France, Voltaire, Cromwell, even Napoleon and Louis XIV. Tokaj wine has got a very special attribute – Vinum regum – reg vinorum (wine of kings – king of wines). It belongs to Eastern Slovakia wine region, which is situated on the slopes of Vihorlat hills, near extinct volcano the Vihorlat. Climate in the region is very warm and mildly wet but winter is usually very cold. Vine absorbs minerals from volcanic subsoil that give a very special taste to local wines. Development of viniculture started by Premonstrates that came from France in the 12th century and they settled in Leles monastery (at Trebišov).They have brought viticulture to the region. Later on nobility took over the role from monasteries. In the 20s of the last century has been built the Improving Station in Orechová and wine factory Tibava.